To kick off its three-part Spring Writing Series, the Royal Oak Public Library is featuring my workshop, From Memory to Memoir: How to Write and Publish Your Life Stories on Monday, March 24 at 7:00 p.m. 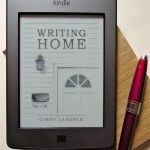 Focusing on personal essays as well as book-length memoirs, well discuss how to avoid the common pitfalls of this popular genre. 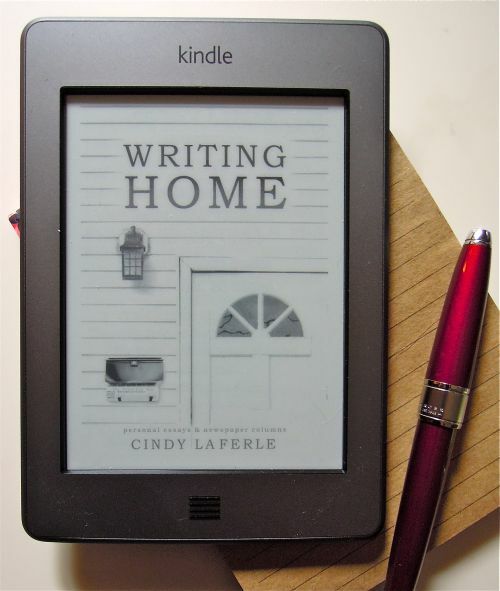 Copies of my personal essay collection, Writing Home, will be available at a special discount. The event is free to the public — but reservations are required. NEXT WEEK: I’ll be part of a professional panel discussion on blogging for writers. Contact the Royal Oak Public Library for details. Sometimes I suggest family recipes as points of entry for writing a memoir. Does your Italian grandmother’s pasta sauce stir up memories of holiday gatherings? Do you recall your kid brother’s grin every time you bake the oatmeal cookies he loved? 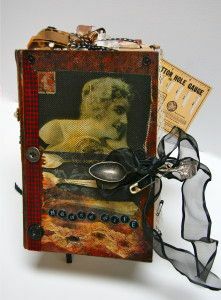 Using this approach, some writers end up compiling cookbooks laced with treasured family stories and traditions. Anyone can turn a memoir into a work of art by combining keepsakes and recipes. For inspiration on how to start this type of project (shown at left), you might want to visit my new art blog. Please click here to learn more. Speaking of memoirs, I’ll be teaching an evening class on memoir writing at the Royal Oak Public Library on March 24, and participating as a panelist in a discussion on blogging on March 31. Complete details on the ROPL’s Spring Writing Series (including how to register for the classes) are included in this feature on Royal Oak Patch.